Owner/Broker, SRES, Luxury Home Specialist. 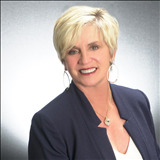 Julie Cosgrove is the real estate expert you want on your side whether you are looking to buy a home or to list your home for sale, Julie is there to negotiate smartly on your behalf with buyers and sellers. Julie is a Certified as a Luxury Home Specialist as well as a Certified Senior Specialist with Keller Williams Realty. Contact Julie to get started today!